Looking For Love In All the Wrong Dimensions? Try 'Paranormal Date'! Filed to: love into the light!Filed to: love into the light! Anyone who’s ever listened to AM radio late at night is probably familiar with Coast to Coast AM. The long-running program (it’s the most-listened to late-night radio show in the country) covers a variety of strange topics four hours a night, seven nights a week. 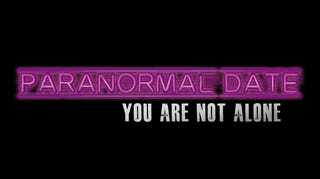 Though its current host, George Noory, has taken the show in a slightly different direction (he focuses more on sociopolitical conspiracy theories, whereas his predecessor was more committed to otherworldly phenomena), his newest endeavor, Paranormal Date, is bringing spooky back. The site is structured like most online dating services: you create a profile, answer a few questions, and start looking for a match. The only significant difference between Paranormal Date and its competitors is the fact that you’ll be guaranteed to match with the kind of person who would sign up for a site called Paranormal Date. While you probably wouldn’t take an entry like the one below seriously if seen on OKCupid, on Paranormal Date...it’s probably not a joke. Now that 1 in 10 Americans have signed up for online dating sites, it’s no surprise that more and more narrowly focused services are popping up. Giving his listeners (and people like them) a place to meet was a smart idea, and one that could prove profitable is the site is a success. If you’re looking for life in other dimensions, it certainly couldn’t hurt to find love along the way.